After losing her entire family in a tragic accident, Faye Wills follows a path of depression and alcohol abuse in an attempt to bury her pain. Her course of self-destruction places her in an alcohol induced coma. When she wakes, she discovers the world was besieged by a virus and she was left for dead on top of a mound of bodies in a football stadium. The world is a barren and desolate place and it works in Faye’s favor. With no desire to live, she sets a goal of making it home to die. Then she encounters Dodge and two young boys. They ignite a spark long lost in Faye. That spark is the will to live. Following radio calls, they decide to join a growing camp of survivors. 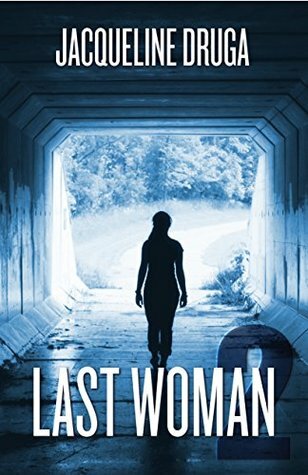 Until they discover that not only is Faye a survivor, she is the last surviving woman on earth. Suddenly the rules change. Faye is no longer safe in the growing violent world. Marauders chase her and what is left of the government, actively seek her, stopping at nothing until they retrieve Faye. While trying desperately to find a haven for her, Dodge and the boys, Faye must also discover her place and role in a world without women. Weighing the decision of what she wants to do against what she should do. The continuation of man’s existence begins with Faye.